Private programs, camps and clinics present gray areas for Oregon's legislation designed to protect students. A year ago, Morgan Brunner headed out from her Portland home with her mom to an Oregon Premier Futsal center in Clackamas. Futsal is a sport similar to indoor soccer, but with a ball that is slightly smaller and less bouncy. While warming up, Morgan — then 12 — got hit in the head by a stray ball. The impact broke her glasses, and she remembers feeling like she was in shock. "I think it hurt a lot," Morgan said, "but I wasn't really focused on the pain in that moment." Morgan played futsal for the same coach she had in the Eastside Soccer League. Brenda Brunner recalled that in both recreation leagues, the coaches were trained in how to spot a concussion, and both she and Morgan had signed paperwork informing them of the risks of receiving a concussion. "Eastside does a parents' meeting at the beginning of each season, and they talk about the concussion protocols," Brunner said. "The coaches and the managers have all been trained in it." What the Brunners went through — from the preventative concussion training and the understanding of the need to get an evaluation and treatment to the return-to-play documentation process — are all thanks to the efforts of Jenna Sneva. Sneva was a nationally ranked skier from Sisters whose Olympic dreams were shattered by a series of concussions. (See InvestigateWest) State lawmakers passed Jenna's Law in 2013, four years after establishing landmark concussion protocols in public high school sports. Jenna's Law extended those protections to private schools and organized sports leagues. Like Max's Law, Jenna's Law requires coaches and referees in organized youth sports leagues to receive annual concussion training. It also requires parents and children 12 and older to be educated about the signs and symptoms of concussions and lays out instructions for dealing with suspected concussions: Pull the athletes off the field or court immediately, and don't allow them back until they have stopped showing signs or symptoms and have received a medical release. But despite the law's success in expanding concussion prevention to more sports, it didn't fill in all the gaps. And even when Jenna's Law works, as it did in Morgan's case, it can't anticipate every unique response to a head injury. Brenda Brunner knew that Morgan needed to be evaluated after her head injury. Eastside Soccer partners with Providence Concussion Management to provide treatment for athletes, including those on the futsal team, who suffer head injuries during games and practices. But when Brunner called Providence that night, she was told the Portland facility was booked for two weeks straight. Fortunately, the Oregon Clinic in Tigard agreed to see Morgan immediately that evening. Using a standard impact test, a doctor confirmed that Morgan had a concussion. Brunner recalls that Morgan, who's enrolled in her school's "talented and gifted classes," struggled during the verbal recall portion of the impact test, scoring in the second percentile for her age group. Brunner was given return-to-play paperwork for Morgan, and instructions to avoid physical activity until she had progressed through various steps outlined for her. "I thought, Morgan, are you being dramatic?" Brunner said. "But now, looking back at it, I think she really was having some memory problems." Morgan said it is hard to describe what having a concussion feels like, but remembered frequent headaches and a lack of awareness of her surroundings. "When I had my concussion, I just didn't feel right," she said. "You could really tell by my personality when I was back, that I was back to normal." 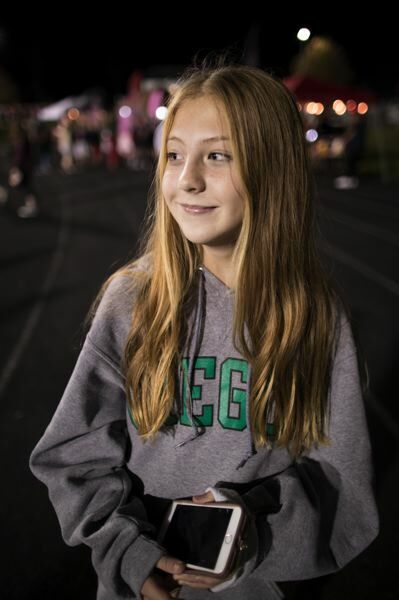 Morgan returned to school almost immediately and was allowed back onto the soccer pitch six weeks after her injury, after passing two impact tests at the Oregon Clinic. But it wasn't until January, three months after the impact, that Morgan told her mom, "I finally feel normal again." Implementing Max's Law was relatively simple. Since the legislation dealt with public schools, the Oregon School Activities Association took the lead on the education and enforcement, requiring documentation that shows coaches and referees receive training each year, and that parents and players have received the necessary information. Jenna's Law applies to organized youth sports affiliated with nonprofit organizations. Examples include YMCA summer recreational leagues, the Oregon Youth Soccer Association, Rugby Oregon, the Oregon Youth Lacrosse Association, Oregon Premier Futsal and others. And, while Jenna's Law addressed a couple blind spots in Oregon youth sports, it still left out some athletic activities taking place largely out of view, including training camps and clinics that occur outside of school and league play. Summer training camps and practice clinics are becoming increasingly common in youth sports. This summer, for example, organizations ranging from Portland Parks & Recreation to the Oregon Youth Lacrosse Association held athletic activities. So does Jenna's Law apply to these camps, even though they don't include league competition? According to David Kracke, a Portland lawyer who helped craft both Max's Law and Jenna's Law, it's not clear. Kracke said that if a league already bound by Jenna's Law were to host its own camp or clinic, then legislative requirements likely would extend to that camp. But if a camp isn't affiliated with a Jenna's Law-applicable league, then Jenna's Law likely wouldn't cover it, Kracke said. The issue is further complicated by language in Jenna's Law that stipulates that a sports league must be affiliated with a nonprofit organization to be covered by the law. That means that camps and clinics run by for-profit organizations — a Nike sports camp, for example — probably aren't covered by Jenna's Law, Kracke said. On the flip side, some sports camps are run by public organizations, like Portland Parks & Recreation or the Tualatin Hills Parks & Recreation District. Julia Rocha, the athletic center supervisor at the THPRD said the park district runs its camps under the guidelines established by Jenna's Law. Rocha requires coaches, parents and athletes to follow guidelines laid out in the legislation. But, technically, public camps aren't run by nonprofits, so Jenna's Law doesn't cover them. And they also aren't affiliated with a public school, so Max's Law doesn't apply either. "Those camps could arguably say they aren't under Max's Law or Jenna's Law," Kracke said. "The question then becomes, what are the other gray areas?" One of those gray areas is enforcement. Schools, both public and private, can — and do — face sanctions from the OSAA if they don't follow rules. But what about youth sports leagues that aren't associated with any school? 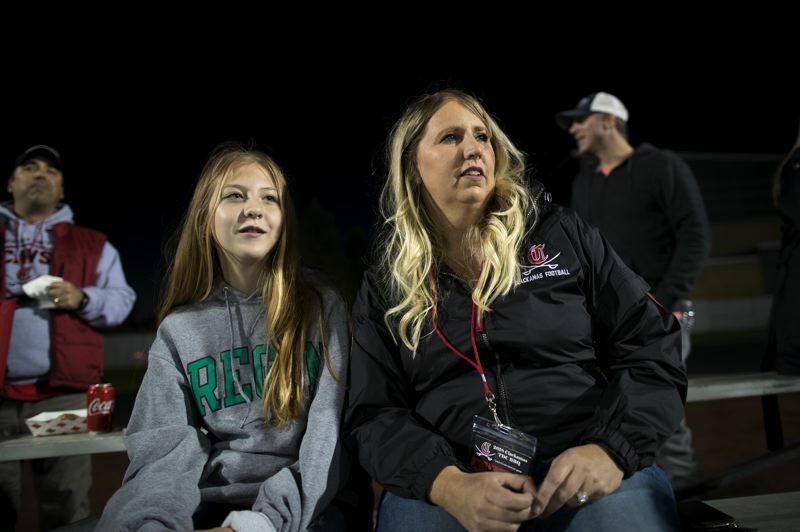 Jenn Heinrich, the president and chief executive officer of Rugby Oregon, said her organization requires coaches, referees, parents and athletes to comply with the requirements outlined in Jenna's Law, and uses documentation to ensure that that's the case. But nobody from the state of Oregon, or any outside governing body, has ever checked to ensure her league was complying. "All of our work has been outward reaching, and not the reverse," Heinrich said. Enforcement ultimately is left up to the sports leagues themselves. OSAA Assistant Executive Director Brad Garrett agrees that there is no "single entity that's out enforcing ... Jenna's Law." He said that he knows through personal experience that the YMCA follows Jenna's Law, but that "I would also assume that you have some rogue things out there that don't even know Jenna's Law exists." Boosters of Oregon's concussion legislation note that most kids, parents and coaches should be familiar with Jenna's Law, Max's Law or both, even if the laws don't cover a few activities. Rocha, for example, said most of the volunteer coaches at THPRD camps also coach at public schools or in competitive leagues, and therefore already have been referred to concussion training through the OSAA or a private organization. The same is likely true for parents and athletes. Heinrich, the Rugby Oregon CEO, said she couldn't think of one instance of an athlete attending one of the organization's training clinics, but not participating in any league play. "Most parents whose kids play club sports, they also play middle school and high school sports," said state Sen. Elizabeth Steiner-Hayward, one of Jenna's Law's sponsors. "So they're exposed to the equivalent, Max's Law, and they know that that's the standard." 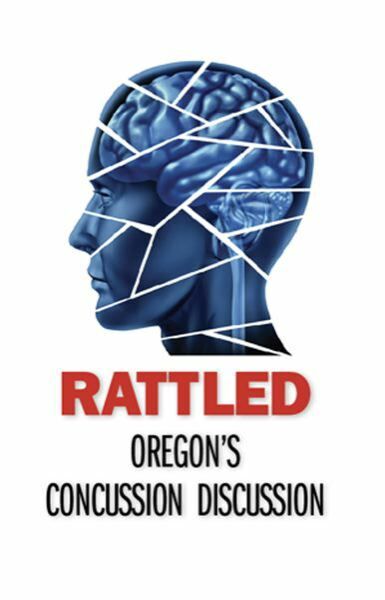 In Steiner-Hayward's opinion, Max's and Jenna's Laws have increased public awareness of the risks of concussions in Oregon so much that leagues that might not technically be covered likely would still implement some kind of concussion training. "They may not be specifically covered by the law," she said. "But frankly, with the increasing evidence about concussions and their dangers, and the increasing awareness of the importance of taking a kid out immediately, I'd be really surprised if they didn't follow an analogous procedure." Both Kracke and Steiner-Hayward made the point that any youth sports organization, whether covered by the law or not, would benefit from enacting concussion training since they would likely be held liable in the event of an athlete concussion. "I can't imagine any reputable club not following these rules," said Steiner-Hayward, who said she thinks the current legislation is sufficient. Kracke, however, isn't so sure, saying the "gray areas" need to be addressed, "probably legislatively." He said additional legislation could ensure that leagues with governing bodies that aren't nonprofits — he gave the example of a youth surfing camp — were held to the same high standards laid out in Jenna's Law. Jenna's Law was passed in 2013, four years after Oregon became one of the first states to adopt legislation regulating concussion protocols in public high schools. Jenna's Law takes the basic framework of that legislation, known as Max's Law, and applies it to organized youth sports in Oregon that take place outside public schools. • Require parents and children 12 and older to receive training to understand and recognize the symptoms of a concussion. The law is named for Jenna Sneva, a nationally ranked skier from Sisters whose Olympic dreams were shattered by a series of concussions.